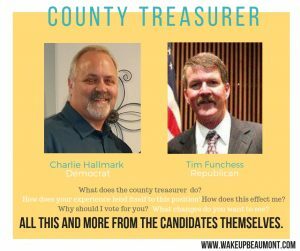 On the surface, the County Treasurer sounds super boring, especially if you aren’t a big math fan (I’m not). There’s not a lot of scandal in this position, thank deities, but that doesn’t mean its not worth caring about. Early voting starts soon – who are you voting for?